Blood and death mark a political rally in Puerto Rico on the eve of an election, putting U.S. interests in jeopardy. Mack Bolan's mission: identify the unknown aggressors suspected of being a violent guerrilla unit demanding independence. 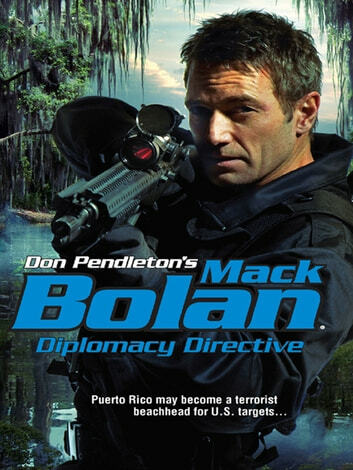 But links to the presence of a Middle East terrorist cell compel Bolan to consider the worst-case scenario: enemies of the West want a free and independent Puerto Rico as a strategic stronghold for strikes against the United States. The brutal business of justice leads Bolan and a select team to a secret terrorist base on American soil, deep in the Georgia swamplands. Bolan's singular objective: the eradication of those committing acts of barbarism against the free world.